Want to see all the technologies used by swissinfo.ch? swissinfo.ch – the international service of the Swiss Broadcasting Corporation (SBC). Since 1999, swissinfo.ch has fulfilled the federal government’s mandate to distribute information about Switzerland internationally, supplementing the online offerings of the radio and television stations of the SBC. Today, the international service is directed above all at an international audience interested in Switzerland, as well as at Swiss citizens living abroad. The online service offers a Swiss view of topics and highlights Swiss positions on international events and developments, while reflecting the view of Switzerland from abroad. 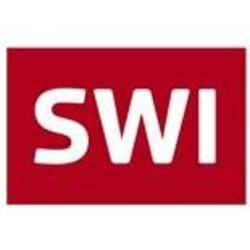 swissinfo.ch‘s coverage focuses on politics, business, culture, society and research. swissinfo.ch also provides specific information for the Swiss abroad to assist them in exercising their political rights in Switzerland (vote dossiers). For a quick look at additional technographic info on swissinfo.ch or any domain on the web, download our Chrome Extension. Check out our help article to see how Datanyze Insider can help you.